I don’t love how New Year’s resolutions are marketed these days (nor how congested they make gym classes…), but I do see value in setting new intentions for the year ahead. I’ll be gentler on myself, I’ll be more complimentary to my spouse, I’ll focus on being more appreciative — that sort of thing. And, although you won’t hear me resolve to lose 10 lbs. in 2016, I also see value in setting goals. 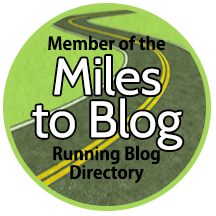 (Obvi… This is a blog entirely dedicated to my goal of running 50 marathons in 50 states…) I’ve decided on three running-related goals for 2016.